The Toyz for Kids auction raised over $15,00 Over $15,000 in Atmore on Thursday. This is an annual event which uses all the money gathered at the auction to buy toys for children of the community who can’t afford them. 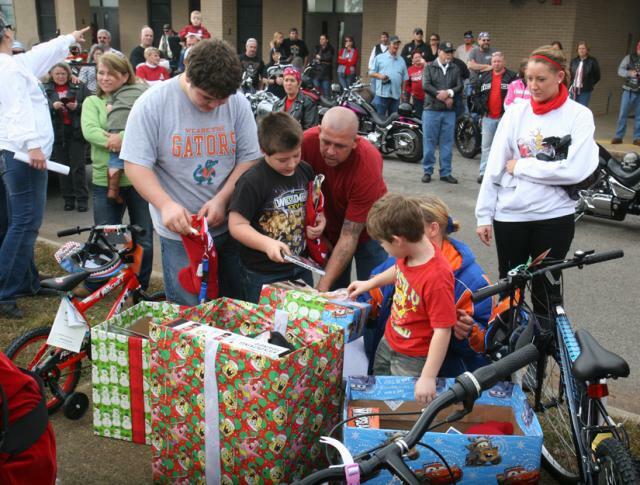 LA Bikers club members are going to give out the toys to the children in December to make sure each child from the community has a Merry Christmas and a happy New Year. You could see handcrafted furniture at the auction, created by Pee Wee Powel. Wooden chairs, rocking chairs, and gazebos are just some of the items sold at the auction. Around 70 items were auctioned and bought that day.